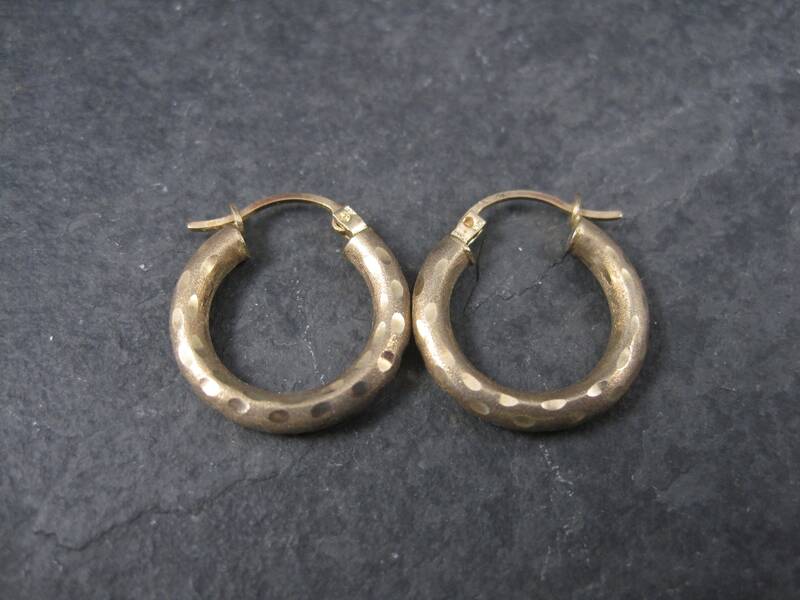 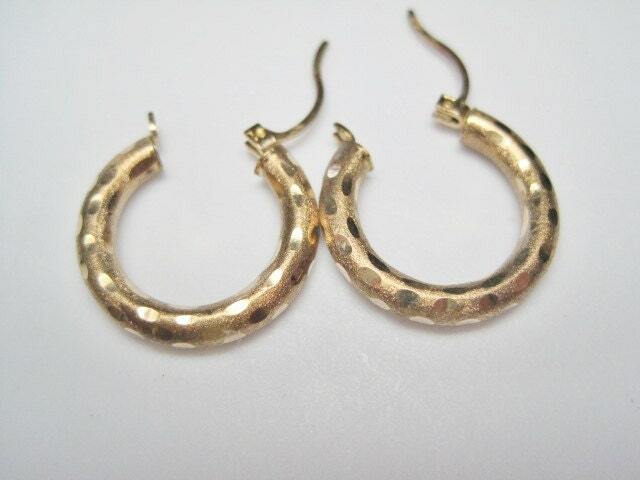 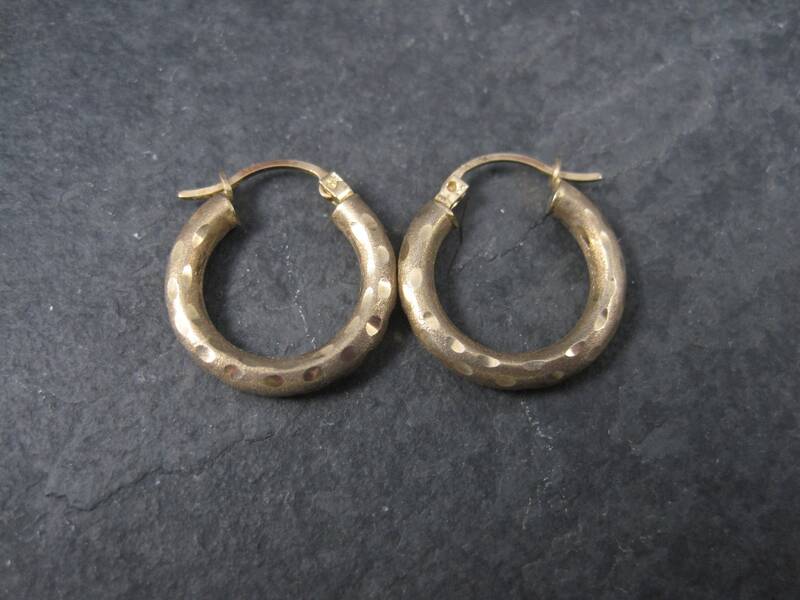 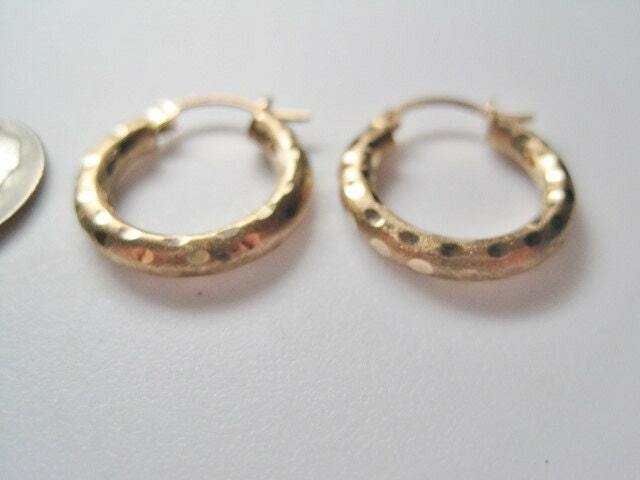 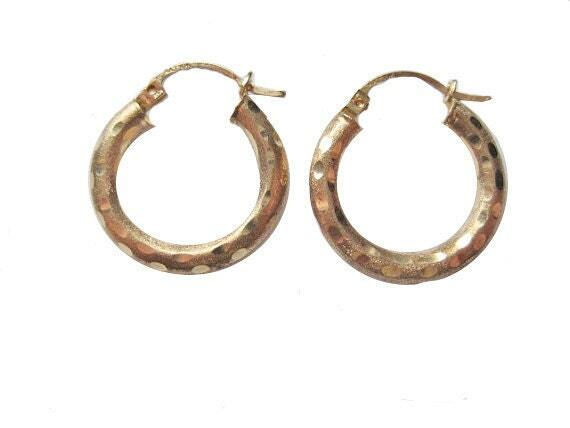 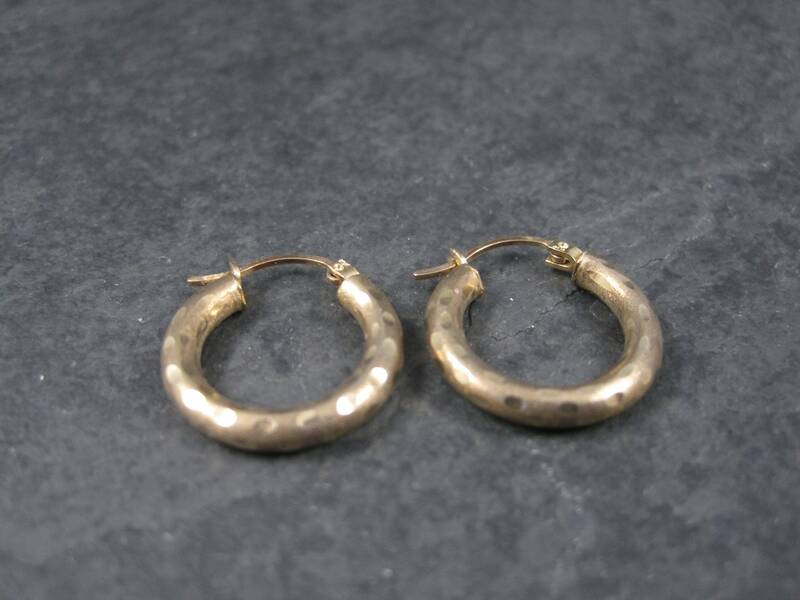 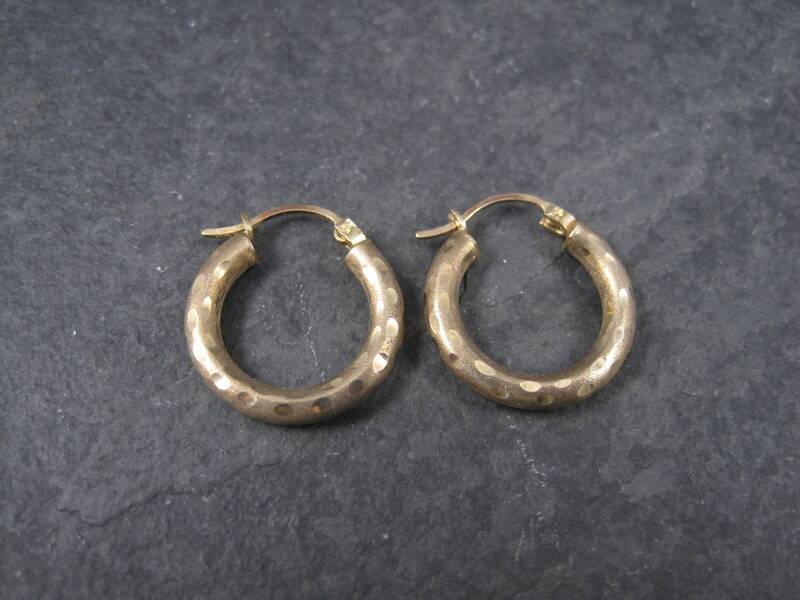 This adorable hoop earrings are solid 10K yellow gold. 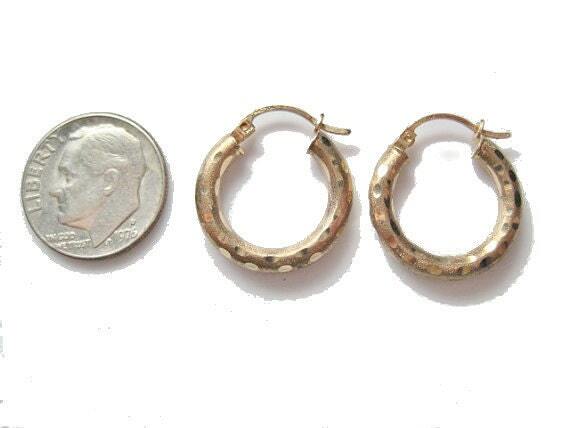 They measure apx 3/4 of an inch. 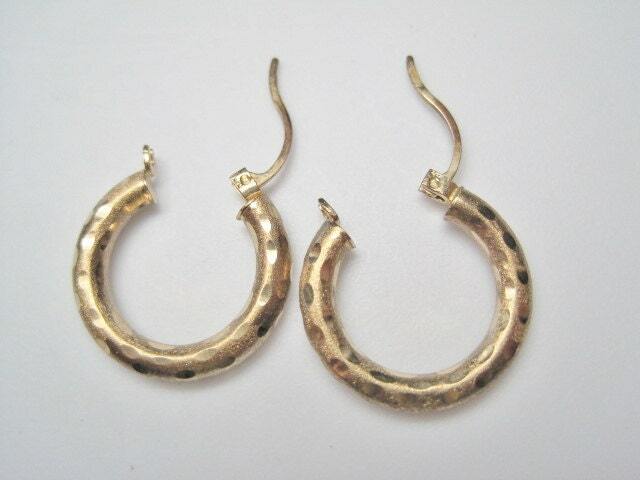 They are in great condition - the levers are sturdy and close properly.